What means time to you? Time – what does it mean to you? Thinking at time and wondering about...What it is time? How would you describe it? 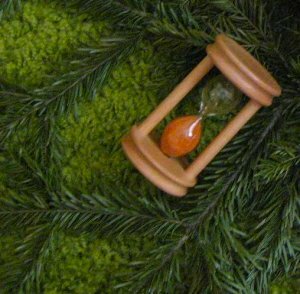 How we perceive time? Do we know all about time? Can we understand the time? Can we control the time? How do we measure time? How time is affecting us? Time may be an abstract, immaterial, irreversible, flowing (in one single direction - from what we are able to perceive) and relative thing, and we're related to it in everything we are and do, more or less conscious about. - and others are saying that it's nothing more that a human mind invention and, in fact, it does not exist in real and we invented it to mark up our actions and existence. Also, for humans, time it may be a scary thing, cause is showing a starting point, a path and the end, again irreversible. So, a bit after they have learned to play with fire, later their main concern was to delay their end. They invented pyramids and cryogenic technologies to postpone the aging, but since thousand years, beside to measure it, I'm not sure if any one was able to discover a concrete way to control the time, while for the moment, time for sure does control us. 2. time is a biological issue. First of all, time is a perceptive idea. Time flows in a way that is perceived differently by people or by the same person in various ways at different times, based up on our perception level. And in that sense we really can't control it unless we can change our perception. Perception is a factor of distance, expended energy, and size of the person mental limits or entity in question. Second of all, time is a biological issue... our cells react to the time in an irrefutable way that is determined by the chemistry of our existence as well as the wear and tear and recovery needed to be induced at a cellular level. Even atoms have half lives which are determined by the decay of atoms just as in cells time is measured by the activity of the cell. I would like to consider valid this opinion but it seams to be impossible as long as I was taught to relay on time and space since the "cell" stage. I know that, for a while, it does exist the present and I'm aware of it (not touchable but lived for a split second) but my mind is not able to separate the past from what I am, what I did or experienced and I cannot perceive a future (time) because this is always unknown and constantly changeable. We can only partly control my actual actions or make plans, but cannot change the past or influence much the future. We have only the present time that somehow flows along my paths on life, and certainly, is irreversible no matter what we do or believe. Based on an issue brought up by Einstein's "General Theory of Relativity" and actually proven via experiment and observation - time, measured biologically and atomically, actually slows down when traveling at higher speeds. Time, though, is most readily affecting us via our perceptions, our mental awareness of its passing. And that is something that we really have no control over most of the time. I'm sure he was right and it was proven that, at small scale, this can be applied in various domains of science (medical researches, aeronautical experiments and probably many others more or less brought to public acknowledgement). Thinking at this now I wonder if that "Philadelphia Experiment" was real or just a myth, cause if it was real, this certainly can change humanity perceptions and actions. I have no idea if such thing is good or not/ dangerous, but it may be a step ahead for human being evolution. - whenever we're creating things, especially material ones (cause they last and we can see/ have them long time after that moment passes) and immaterial ones (in our daily interaction with other people) - "touchable things" that last for a while. I love hourglasses. The shape, the dynamic of the falling sand, the representation of time... so, what means time to you?